Sometimes clean and simple can be stunning, and this is an example of that. Love the bright colors - and how easy it was!! I like the blue card base and the feathers. Nice card. What a colorful and fun feather card and so appropriate for CC's vet. I am sure she will get a kick out of your original handmade card. 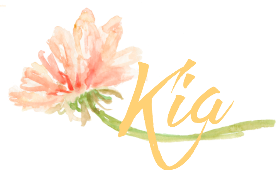 TFS Kia. Hugs.. I'm loving your card and Cindy's, too! How beautiful with so much bright and cheery colors. 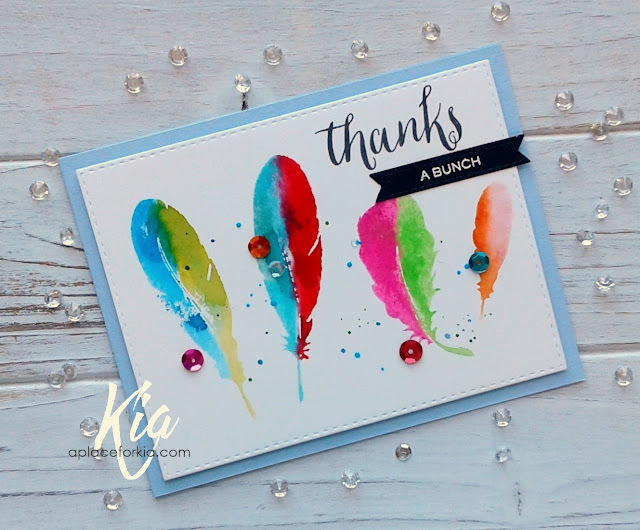 Love the "feathery" color Kia! Pun intended.